This paper is entitled “Credit Risk Grading and Limit Setting at Eastern Bank Limited” originated from the fulfillment of the internship program. To examine the financial practice in Banking Business, EBL is the pioneer in banking history to implement the Credit Risk Grading Setting and practice it in their banking business. Credit Risk Grading Manual of Bangladesh Bank was circulated by Bangladesh Bank vide BRPD Circular No. 18 dated December 11, 2006 on Implementation of Credit Risk Grading Manual which is primarily in use for assessing the credit risk grading before a bank lend to its borrowing clients. The Credit Risk Grading Manual developed for a Bank shall be an effective tool to help a Bank to take a sound decision in analyzing credit risk on another bank and to set up a credit limit for money market and other business operations. All Banks should adopt this credit risk grading system outlined in this manual for assessing the credit risk in case they need to take exposure on another bank. To assess Risk Management of Financial Sector we analyze 44 Banks & 16 Non-Bank Financial Institutions (NBFIs) according to Credit Risk Grading Manual of Bangladesh Bank. Credit Risk Grading is the basic module for developing a Credit Risk Management system. Well-managed credit risk grading systems promote bank safety and soundness by facilitating informed decision-making. Grading systems measure credit risk and differentiate individual credits and groups of credits by the risk they pose. The process also allows bank management to manage risk to optimize returns. EBL has decided to entail all details of the bank’s single Borrower/Group limits to be included as per Bangladesh Bank guidelines. The Bank’s Head of Credit or Managing Director/CEO should approve Credit Applications that do not adhere to the bank’s Lending Guidelines. EBL has adopted a credit risk grading system. Borrower Risk Grades thus clearly stated on Credit Applications. Irrespective of credit score obtained by a particular bank and irrespective of credit risk rating assigned to a particular Bank in line with this Credit Risk Grading Setting, grading of any banks by the Bangladesh Bank inferior to this rating shall be mandatory and Eastern Bank Limited should adjust its credit rating in line with Bangladesh Bank rating. This means that if a credit rating by Bangladesh Bank is inferior then the credit rating as arrived as per this CRGS then the Eastern Bank credit rating for the banks shall prevail and the lender Bank has to adjust its credit rating accordingly. EBL’s Head of Credit Risk Management may also downgrade credit risk grading of a Bank in the normal course of inspection or during the periodic portfolio review. We have reviewed both quantitative and qualitative aspects taking the Credit Risk Grading Manual of Bangladesh Bank into consideration. We have analyzed spreadsheet of 44 Banks (out of total 48 Banks) and rated them accordingly as Bangladesh Bank guidelines through Focus Group report- Managing Core Risk in Banking on Asset Liability Management and Foreign Exchange Risk Management to be adhered to. Credit Risk Grading is an important tool for credit risk management as it helps a Bank to understand various dimensions of risk involved in different credit transactions. In today’s world, education is the imperative tool for understand the real world and apply knowledge for betterment of the society as well as in Business Sector. From the education session the theoretical knowledge is obtained from various courses throughout the programs, which is only the half way of the subject matter. Practical knowledge has no alternative. The perfect coordination between theory and practice is of paramount importance in the context of modern business Graduates to get 12 weeks practical experience, which is known as “Internship Program”. That program is taken when the student is at the leg of his/her Bachelor Degree. Internship program brings student closer to the real life situation and thereby helps to launch a career with some prior experience. School of Business at North South University has the goal to produces world class graduates within the local environment with knowledge and skill to provide leadership in enterprise, public service and welfare of our society. Internship placement of this department is a step towards fulfilling this commitment by giving students an opportunity to get ready for the real world before they enter their practical life. Involvement of the banking sector in different financial events is increasing day by day. At the same time the financial arena is becoming faster, customer focused and its involvement got unavoidable in our everyday life. Now a day, it has become essential for every person to have some ideas on the economics and mostly on banking procedure. For the internship program, each student is attached with an organization. My internship placement was at International Division of Eastern Bank Limited. Internship report is the outcomes of perfect coordination between theoretical and practical experience throughout the session of 12 weeks. This report is on International Division of Eastern Bank Limited generated based on author’s 12 weeks practical experience with International Division of Eastern Bank Limited and their recent project on Credit Risk Grading Setting. This report mainly consists of two parts, are; organizational part and learning part. The organizational part consists of various aspects of Eastern Bank Limited (EBL) as, mission, vision, historical review, financial condition, various departments and divisions, management aspects, branches, products and services, social responsibilities etc. The later part focuses the department author worked with and the learning experiences I gathered during the session as, functions of the department, policy and practices, objectives, mission, vision, SWOT analysis, structure, activities performed by the author etc. Now-a-days, education is not just limited to books and classrooms. In today’s world, education is the tool to understand the real world and apply knowledge for the betterment of the society as well as business. From education the theoretical knowledge is obtained from courses of study, which is only the half way of the subject matter. Practical knowledge has no alternative. The perfect coordination between theory and practice is of paramount importance in the context of the modern business world in order to resolve the dichotomy between these two areas. Therefore, an opportunity is offered by School of Business, North South University, for its potential business graduates to get three months practical experience, which is known, is as “Internship Program”. For the competition of this internship program, the author of the study was placed in a bank namely, “The Eastern Bank Limited”. Internship Program brings a student closer to the real life situation and thereby helps to launch a career with some prior experience. This paper is entitled “Credit Risk Grading and Limit Setting at Eastern Bank Limited” originated from the fulfillment of the internship program. For the internship program, each student is attached with an organization. My internship was at International Division of The Eastern Bank Ltd., Head Office, Dhaka. During my internship, I had to prepare a report under the supervision of Mr. Golam Mohammad, Director, MBA / EMBA Program. The first step of this project was problem identification and deciding on the topic. This was achieved through consulting with my faculty advisor Mr. Golam Mohammad and the supervisor in EBL Mr. Obaid Islam, Head of International Division. Next the particular objectives of the project were set. Based on these objectives, the necessary data for completion of the project were identified. Next, those internal sources were identified who would be able to provide the necessary information. After this, the data collection process began. Both primary and secondary sources were used. The primary sources of information were the concerned officials of EBL. Data were collected from them through interview. The sources of secondary information were various publications, board memos, Annual Report and other reports on EBL. After data collection was complete, the data was analyzed to find out their implications. Based on those findings, the final report was completed. The primary sources of information were the concerned officials of EBL. Data were collected from them through interview. The sources of secondary information were various publications, board memos, Annual Reports, Newspapers and other reports on EBL. The major limitation of this report is that no previous study is done beforehand on EBL’s Credit Risk Grading Setting as Eastern Bank Limited has initiated this Limit Setting for the first time in Bangladesh. Bangladesh Bank has taken the proposal in consideration from EBL, and EBL is expecting to the overall success of the project as it will then be taken by the Bangladesh Bank into consideration and all the Banks of Bangladesh will then be indebted to research on this topic. As it is being done for the first time in Bangladesh as well as EBL, secondary study material was scarce. The study is heavily relied on observational method, which has its own disadvantages, and not a very effective method. The emergence of Eastern Bank Limited in the private sector is an important event in the banking industry of Bangladesh. 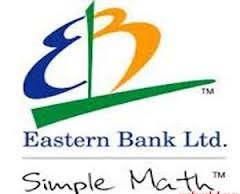 Eastern Bank Limited started its business as a public limited company on August 08, 1992 with the primary objectives to carry on all kinds of banking business in and outside of Bangladesh and also with a view to safeguard the interest of the depositors of erstwhile BCCI [Bank of Credit and Commerce International (Overseas)] under the Reconstruction Scheme, 1992, framed by Bangladesh Bank. In 1991, when BCCI had collapsed internationally, the operation of this bank had been closed in Bangladesh. After a long discussion with the BCCI employees and taking into consideration the depositors’ interest, Bangladesh Bank then gave the permission to form a bank named Eastern Bank Limited which would take over all the assets, cash and liabilities of erstwhile BCCI in Bangladesh, with effect from August 16, 1992. So, it can be said the EBL is a successor of BCCI. 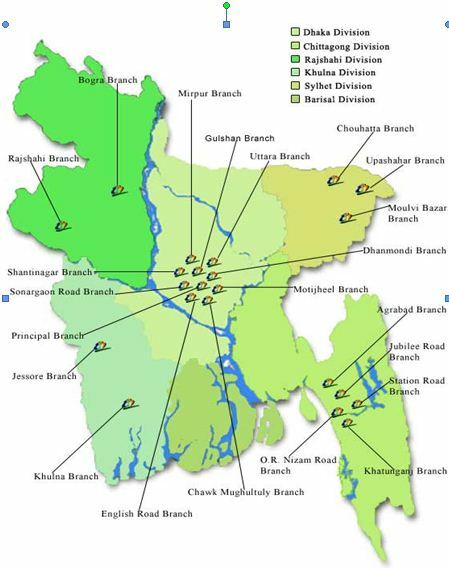 EBL started its business as a scheduled bank with only four branches, which included Principal Branch, Dhaka; Motijheel Branch, Dhaka; Agrabad Branch, Chittagong and Khulna Branch. EBL started its business with motto to grow as a leader in the banking arena of Bangladesh through better counseling and efficient service to clients. EBL resumed its operational activities initially with an authorized capital of Tk. 1000 million, divided into 10 million shares of Tk. 100 each and paid up capital of Tk. 310 million. The initial shareholders were the NCBs, various govt. agencies, and some of the depositors who had agreed to accept shares in the new bank in lieu of their deposits. The first Board of Directors of EBL constituted under govt. supervision, consisted of 7 directors from various business and professions. Eastern Bank Limited was under government control until the end of 2000 and therefore, there were lots of deficiencies in the Bank’s management. In 2001, the board of directors brought in new professional management from various foreign banks who have been trying to modernize the bank ever since. EBL will deliver service excellence to customers, both internal and external. cohesive and professional team in order to achieve service excellence. EBL will ensure to maximize shareholder’s value. The vision of Eastern Bank Limited is to become the bank of choice by transforming the way they do business and developing a truly unique financial institution that delivers superior growth and financial performance and be the most recognizable brand in the financial services in Bangladesh. EBL see their customers’ trust as the lifeline of their business, control and compliance as their license to operate, dynamic and motivated people as their strength to multiply and technology as their weapon to service excellence. Cater to a broader and differentiated segment of retail and wholesale customers. In the year of 1992 EBL started their banking operation in the country. Within these 15 years EBL became one of the successful banks in Bangladesh. They are able to gain this huge success because of their employee’s honesty, integration and hard work. EBL dreams to be the bank of choice of the general public which includes both the consumer and the corporate clients. It has adopted the tag line “simple math”, the philosophy of Easy Banking while celebrating the 10th anniversary in 2002, EBL’s logo was changed to reflect the restricting and the transformations it is going through; the colors of the new logo signify the vibrant green of mother earth, a blue sky full of possibilities and a yellow rising sun of hope. In order to achieve superior growth and financial performance for its shareholders, EBL is radically transforming the way it dies business .The bank has already restructured from the traditional geographic matrix (branch based banking) to business unit matrix. The bank is also centralizing most of the business functions in the head office to ensure greater control and efficiency. EBL is a leading private sector bank in Bangladesh offering full range of Personal, Corporate, International Trade, Foreign Exchange, Lease Finance and Capital Market Services. At present, this can be said; Eastern Bank Limited is the preferred choice in banking for friendly and personalized services, cutting edge technology, tailored solutions for business needs, global reach in trade and commerce and high yield on investments, assuring Excellence in Banking Services. Within very short span of time EBL is going to open five more branches in the country. EBL is start strengthen their consumer products along with their corporate products; as they lunched “Simple Credit Card” in the market recently. All other departments of the bank act as support for these five units and help them in every possible way. Under this arrangement, the responsibilities and functions of those branches have been reduced dramatically. Many of the activities like credit evaluation and approval, monitoring of loans, trade services activities etc. are now centralized in the Head Office. The branches of the bank are now termed as the “Sales & Service Centers” which are solely concentrated on delivering services to the corporate and consumer clients and maintain relationship with them. 2006, last year was another year of continued success of EBL across all the business units. The Bank has made an Operating Profit growth of 28.6% to BDT 1,358 million during the year but suffered a decline of Profit after Tax by 6.1% to BDT 513 million mainly due to increased general provisioning requirement by BB and disallowance of specific provision in tax computation. Therefore EPS dropped to BDT 61.98 in 2006 against BDT 66.00. Corporate Banking remains the major bread earner with largest volume of loan portfolio and fees income. Adding 3 more branches at strategic locations, Consumer Banking supplied the major part of funding assets of corporate and SME, one of the potential business segments. EBL Treasury has passed a superb year 2006 by achieving an extraordinary growth of FX income by 130% to the tune of BDT 434 million by exploiting market volatility. Investment income also grew by 47.48% due to govts increased borrowing at higher rates. The EBL Management Team comprises of a group of people and each of them comes with an international working background and is committed in leveraging their experiences to take EBL to greater heights by ensuring top line revenues with dynamic capabilities. This Management Team is unique in being able to envision the need of the business by bringing in admixture of advanced technology solutions know-how and revamping the organizational make-up for maximum profitability. Other than the CEO, the remaining Management Team Members each lead a functional department. This mix of people is persistent to provide unparallel services to its customers, come up with timely and innovative products and services and to enhance the capabilities of its people of its people while emphasizing on the latest technology. This they believe will take the Bank to a foremost position in the country by the turn of the year 2007. This team is to drive the business to maximize the operational excellence and efficiency through acquisition of talent, developing systems, processes and people and through blending of these to let customers revel in with fulfillment and permanency. Like any other business organization, all the major decisions in EBL are made by the top management Committee. The board mainly establishes the objectives and policies of the bank. In compliance with the BRPD circular no. 16 dated July 24, 2003 the board of Directors of EBL has reconstituted its Executive Committee in its 352the Board Meeting and was duly confirmed by the Board. This committee is comprised of four non-executive Directors and Managing Director of the bank and the functions and responsibilities of this committee is to Establish and periodically review the bank’s overall credit and lending policies and procedures, develop and implement uniform and minimum acceptable credit standards for the bank, new credit proposal assessment and approval etc. The main objective of this committee is to assist eh Board of Directors with regard to the audit of financial reports, management reports by external auditors, internal controls and internal audits. The main objectives of this committee is to ensure business operations are in line with the Bank’s policies, strategies and objectives, the bank has set up. This committee consists of the CEO, COO and different business unit heads. Mid and lower level employees get the direction and instruction from the top executives about the duties and tasks they have to perform. Management of Eastern Bank Ltd. assumes that; active employees are the inputs to achieve the organization goal. The manager provides the guidelines and broad directions to the subordinates but delegate responsibility for determining how tasks and goals are to be accomplished. 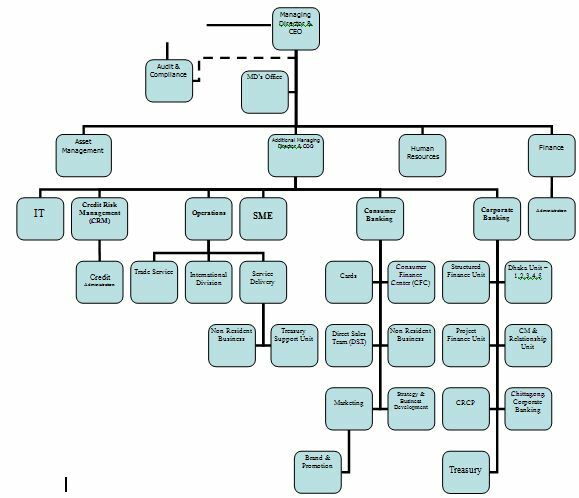 2.9 ORGANOGRAM OF EASTERN BANK LTD.
From the beginning of the year 2004, the entire banking industry in Bangladesh started facing stiff competition to procure business, under the changed circumstances of the policy of BB to lower the rates of interest in lending and to go for syndication against large loan portfolios with the objective to ensure better operation and control of all functions of the bank. Despite such situation the year was a remarkable on for EBL when the bank finally completed the introduction of a state-of-the art IT technology platform of Flex Cube, a world class banking software. All of bank’s 25 braches were connected to this IT platform giving an enviable opportunity to all the EBL customers to obtain the most coveted services that no other bank could offer them yet. To cope with the status quo, Eastern Bank Limited welcomed these developments and restructured the bank to meet the challenges in future. The branches of the bank are now termed as the “Sales & ServicesCenter” which are solely concentrated providing service to the corporate and consumer clients and maintain relationship with them. 2006, last year was another year of continued success of EBL across all the business units. The Bank has made an Operating Profit growth of 28.6% to BDT 1,358 million during the year but suffered a decline of Profit after Tax by 6.1% to BDT 513 million mainly due to increased general provisioning requirement by BB and disallowance of specific provision in tax computation. Therefore EPS dropped to BDT 61.98 in 2006 against BDT 66.00. Comprehensive risk management is a core competence of EBL. EBL take a prudent and conservative approach to risk that is fully aligned with their long-term strategy. The risk framework combines centralized policy setting with board oversight supported by risk execution and monitoring. It provides management with the ability to oversee the bank’s large and highly diversified portfolio effectively and efficiently. EBL’s risk management systems are designed to identify and analyze risks management processes by establishing a credit risk management policy, credit underwriting standards, and credit risk rating methodology. It also established a Credit Risk Management Division, which is independent from relationship management units to ensure proper controls on its lending. In this 21st century, the social responsibility of an organization is unavoidable. The societal marketing concept holds that the organization should determine the needs wants, and interests of target markets. It should then deliver superior value to customers in a way that maintains or improves the consumer’s and the society’s well-being. In this concept the marketers will maximize the consumers’ value in the long run rater than short run to maximize their profit. The bank realizes the importance of contributing to the public, community, and society as a whole as well as participating in environmental protection and conservation for a sustainable future. EBL ensures that the customer already having production facility that is susceptible to damage environment has due environmental clearance certificate from the concerned ministry while granting or renewing credit facility. Every year EBL contribute their in various types of social activities, are; awarding the talent student through “talent hunt”, monetary contribution in the disable fund, contribute increasing public awareness about the social ills and the most recently EBL contributed BDT 320 million in the Chief Advisors fund for the flood affected people. No one in society can avoid the due responsibilities, EBL’s position is positive in this regard and they wish to find a suitable segment to work with in future to meet the corporate social responsibility. Since banks deal with customer’s hard earned cash and finances business, it is natural financial organization largely depends on the service quality, promotional activity, personnel effort and distribution. EBL is the first local private bank in Bangladesh which has implanted the strategy of Centralization. The ultimate goal of following this strategy is to maximizing the profit and also reduces the amount of bad debts and in most reduces the internal conflicts. EBL has diversified its assets and remittance, loan portfolio and now EBL is focusing on establishing a leading small and medium enterprise as well as adding value added consumer banking products to satisfy its customers better as it lunched Simple Credit Card with the fullest possibilities of modern credit card. It has restructured its business process to meet the challenges of rapidly evolving technology based banking services, in the awake of growing competition in the financial service industry and changes in the customer needs. For EBL, hope is shining on the horizon; it is no far that EBL will be the number one private commercial bank in Bangladesh. Credit Risk Grading Manual of Bangladesh Bank was circulated by Bangladesh Bank vide BRPD Circular No. 18 dated December 11, 2006 on Implementation of Credit Risk Grading Manual which is primarily in use for assessing the credit risk grading before a bank lend to its borrowing clients. Since the nature of business as well as leverage level of Banks and Non Banking Financial Institutions is different from that of other borrowing clients, the need for a separate Credit Risk Grading Manual has been felt. Keeping this in mind and with a view to properly risk rate a Bank in order to set up counter party limits for providing credit products extended by one bank to another Bank this Credit Risk Grading Manual for the Bank has been produced. The Credit Risk Grading Manual developed for a Bank shall be an effective tool to help a Bank to take a sound decision in analyzing credit risk on another bank and to set up a credit limit for money market and other business operations. This Credit Risk Grading Manual has taken into consideration the important aspects required in order to correctly assess the operation of a Banking Financial Institution and will ensure a very objective approach to credit risk grading and is easier to implement. All Banks should adopt this credit risk grading system outlined in this manual for assessing the credit risk in case they need to take exposure on another bank. At the pre-sanction stage, credit grading helps the sanctioning authority to decide whether to lend or not to lend, what should be the pricing for a particular exposure, what the extent should be of exposure, what should be the appropriate credit facility and the various risk mitigation tools. At the post-sanction stage, the bank can decide about the depth of the review or renewal, frequency of review, periodicity of the grading, and other precautions to be taken. Having considered the significance and necessity of credit risk grading for a Bank, it becomes imperative to develop a credit risk grading model which meets the objective outlined above. This manual describes in detail the process required to spread and analyze the financial statement of a bank, identify the critical risk elements, mitigate these risk and provide appropriate weightage and marking to the risk element and thereby arrive at a systematic risk grading for an effective credit decision. To assess Risk Management of Financial Sector we analyze the following Banks & Non-Bank Financial Institutions (NBFIs) according to Credit Risk Grading Manual of Bangladesh Bank. 7) Al-Arafah Islami Bank Ltd.
9) Bangladesh Commerce Bank Ltd.
13) Dutch Bangla Bank Ltd.
16) First Security Bank Ltd.
18) Islami Bank Bangladesh Ltd.
21) Mutual Trust Bank Ltd.
27) Shajalal Islami Bank Ltd.
31) The City Bank Ltd.
34) UCBL – United Commercial Bank Ltd.
43) HSBC – Honk Kong Shanghai banking Corporation Ltd.
15. United Leasing Company Ltd. The Credit Risk Grading (CRG) is a collective definition based on the pre-specified scale and reflects the underlying credit-risk for a given exposure. A Credit Risk Grading deploys a number/ alphabet/ symbol as a primary summary indicator of risks associated with a credit exposure. Credit Risk Grading is the basic module for developing a Credit Risk Management system. Well-managed credit risk grading systems promote bank safety and soundness by facilitating informed decision-making. Grading systems measure credit risk and differentiate individual credits and groups of credits by the risk they pose. This allows bank management and examiners to monitor changes and trends in risk levels. The process also allows bank management to manage risk to optimize returns. The Credit Risk Grading matrix allows application of uniform standards to credits to ensure a common standardized approach to assess the quality of an individual obligor and the credit portfolio as a whole. As evident, the CRG outputs would be relevant for credit selection, wherein either a borrower or a particular exposure/facility is rated. The other decisions would be related to pricing (credit spread) and specific features of the credit facility. Risk grading would also be relevant for surveillance and monitoring, internal MIS and assessing the aggregate risk profile. It is also relevant for portfolio level analysis. This section details fundamental Credit Risk Management policies that are recommended for adoption by all banks in Bangladesh. The guidelines contained herein outline general principles that are designed to govern the implementation of more detailed lending procedures and risk grading systems within individual banks. Eastern Bank Limited has established Credit Policies (“Lending Guidelines”) that clearly outline the senior management’s view of business development priorities and the terms and conditions that should be adhered to in order for loans to be approved. The Lending Guidelines are being updated at least annually to reflect changes in the economic outlook and the evolution of the bank’s loan portfolio, and is distributed to all lending/marketing officers. The Lending Guidelines is approved by the Managing Director/CEO & Board of Directors of the bank based on the endorsement of the bank’s Head of Credit Risk Management and the Head of Corporate/Commercial Banking. Any departure or deviation from the Lending Guidelines is explicitly identified in credit applications and a justification for approval provided. Approval of loans that do not comply with Lending Guidelines is restricted to the bank’s Head of Credit or Managing Director/CEO & Board of Directors. The Lending Guidelines is a clear identification to the business/industry sectors that should constitute the majority of the bank’s loan portfolio. For each sector, a clear indication of the bank’s appetite for growth should be indicated (as an example, Textiles: Grow, Cement: Maintain, Construction: Shrink). This will provide necessary direction to the bank’s marketing staff. The type of loans that are permitted should be clearly indicated, such as Working Capital, Trade Finance, Term Loan, etc. Details of the bank’s single Borrower/Group limits should be included as per Bangladesh Bank guidelines. Eastern Bank Limited may wish to establish more conservative criteria in this regard, provides brief description of financing under syndicated arrangement. Banks should establish a specific industry sector exposure cap to avoid over concentration in any one industry sector. Logging, Mineral Extraction/Mining, or other activity that is ethically or environmentally sensitive. Lending to companies listed on CIB black list or known defaulters. Counterparties in countries subject to UN sanctions. Taking an Equity Stake in Borrowers. Bridge Loans relying on equity/debt issuance as a source of repayment. Valuations of property taken as security should be performed prior to loans being granted. A recognized 3rd party professional valuation firm should be appointed to conduct valuations. A thorough credit and risk assessment should be conducted prior to the granting of loans, and at least annually thereafter for all facilities. The results of this assessment should be presented in a Credit Application that originates from the relationship manager/account officer (“RM”), and is approved by Credit Risk Management (CRM). The RM should be the owner of the customer relationship, and must be held responsible to ensure the accuracy of the entire credit application submitted for approval. RMs must be familiar with the bank’s Lending Guidelines and should conduct due diligence on new borrowers, principals, and guarantors. It is essential that RMs know their customers and conduct due diligence on new borrowers, principals, and guarantors to ensure such parties are in fact who they represent themselves to be. All banks should have established Know Your Customer (KYC) and Money Laundering guidelines which should be adhered to at all times. Borrower Analysis. The majority shareholders, management team and group or affiliate companies should be assessed. Any issues regarding lack of management depth, complicated ownership structures or inter-group transactions should be addressed, and risks mitigated. Industry Analysis. The key risk factors of the borrower’s industry should be assessed. Any issues regarding the borrower’s position in the industry, overall industry concerns or competitive forces should be addressed and the strengths and weaknesses of the borrower relative to its competition should be identified. Supplier/Buyer Analysis. Any customer or supplier concentration should be addressed, as these could have a significant impact on the future viability of the borrower. Historical Financial Analysis. An analysis of a minimum of 3 years historical financial statements of the borrower should be presented. Where reliance is placed on a corporate guarantor, guarantor financial statements should also be analyzed. The analysis should address the quality and sustainability of earnings, cash flow and the strength of the borrower’s balance sheet. Specifically, cash flow, leverage and profitability must be analyzed. Projected Financial Performance. Where term facilities (tenor > 1 year) are being proposed, a projection of the borrower’s future financial performance should be provided, indicating an analysis of the sufficiency of cash flow to service debt repayments. Loans should not be granted if projected cash flow is insufficient to repay debts. Account Conduct. For existing borrowers, the historic performance in meeting repayment obligations (trade payments, cheques, interest and principal payments, etc) should be assessed. Adherence to Lending Guidelines. Credit Applications should clearly state whether or not the proposed application is in compliance with the bank’s Lending Guidelines. The Bank’s Head of Credit or Managing Director/CEO should approve Credit Applications that do not adhere to the bank’s Lending Guidelines. Mitigating Factors. Mitigating factors for risks identified in the credit assessment should be identified. Possible risks include, but are not limited to: margin sustainability and/or volatility, high debt load (leverage/gearing), overstocking or debtor issues; rapid growth, acquisition or expansion; new business line/product expansion; management changes or succession issues; customer or supplier concentrations; and lack of transparency or industry issues. Loan Structure. The amounts and tenors of financing proposed should be justified based on the projected repayment ability and loan purpose. Excessive tenor or amount relative to business needs increases the risk of fund diversion and may adversely impact the borrower’s repayment ability. Security. A current valuation of collateral should be obtained and the quality and priority of security being proposed should be assessed. Loans should not be granted based solely on security. Adequacy and the extent of the insurance coverage should be assessed. Name Lending. Credit proposals should not be unduly influenced by an over reliance on the sponsoring principal’s reputation, reported independent means, or their perceived willingness to inject funds into various business enterprises in case of need. These situations should be discouraged and treated with great caution. Rather, credit proposals and the granting of loans should be based on sound fundamentals, supported by a thorough financial and risk analysis. Eastern Bank Limited has adopted a credit risk grading system. The system has defined the risk profile of borrower’s to ensure that account management, structure and pricing are commensurate with the risk involved. Risk grading is a key measurement of a Bank’s asset quality, and as such, it is essential that grading is a robust process. All facilities should be assigned a risk grade. Where deterioration in risk is noted, the Risk Grade assigned to a borrower and its facilities should be immediately changed. Borrower Risk Grades should be clearly stated on Credit Applications. The more conservative risk grade (higher) should be applied if there is a difference between the personal judgment and the Risk Grade Scorecard results. It is recognized that the banks may have more or less Risk Grades; however, monitoring standards and account management must be appropriate given the assigned Risk Grade. Credit facilities, which are fully secured i.e. fully cash covered or near cash. Credit facilities fully covered by the guarantee of a top tier international Bank. Excellent liquidity and low leverage. Well established cliental base and strong market share. Not as strong as GOOD Grade banks but still demonstrate consistent earnings and have a good track record. These borrowers have an above average risk due to strained liquidity, higher than normal leverage and/or inconsistent earnings. Weaker business credit & early warning signals of emerging business credit detected. This grade has potential weaknesses that deserve close attention. If left uncorrected, these weaknesses may result in a deterioration of the repayment prospects of the borrower. Substandard – (SS) – 6Very weak intrinsic financial strength. Capacity or inclination to repay is in doubt. Doubtful – (DF) – 7Financial fundamentals are seriously deficient. Default is a real possibility. Bangladesh Bank criteria for Doubtful credit shall apply. An Aggregate Score of 25-34 based on the Risk Grade Score Sheet. Bad & Loss – (BL) – 8Credit of this grade has long outstanding with no progress in obtaining repayment or on the verge of wind up/liquidation. Proceeds expected from the liquidation or realization of security may be awaited. Bangladesh Bank guidelines for timely write off of bad loans must be adhered to. Bangladesh Bank criteria for Bad & Loss credit shall apply. An Aggregate Score of less than 24 based on the Risk Grade Score Sheet. Irrespective of credit score obtained by a particular bank and irrespective of credit risk rating assigned to a particular Bank in line with this Credit Risk Grading Setting, grading of any banks by the Bangladesh Bank inferior to this rating shall be mandatory and Eastern Bank Limited should adjust its credit rating in line with Bangladesh Bank rating (if any). This means that if a credit rating by Bangladesh Bank is inferior then the credit rating as arrived as per this CRGS then the Eastern Bank credit rating for the banks shall prevail and the lender Bank has to adjust its credit rating accordingly. Grading of the classified names should be in line with Bangladesh Bank guidelines on classified accounts. According to the importance of risk profile, the following weightages are proposed for corresponding principal risks components (Quantitative and Qualitative factors). Once weightage are allocated to the Principal Risk Components (Quantitative and Qualitative Factors) the next task is to arrive at key parameters corresponding to the Principal Risk Components. Key parameters corresponding to the Principal Risk Components of Quantitative Factors are detailed as follows. Risk Management includes exhaustive pre-approval and post – approval activities. Level of non performing loans. Amount of largest exposure to a single client/group, who are these and how many are nonperforming. Are classified loans being followed regularly with clear action plan for recovery? Have Credit Risk Grading of clients are in place and effective. 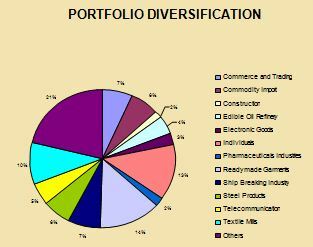 Portfolio Diversity (Industry wise breakdown of loans) & sectoral Concentration. Nature of security/collateral and the frequency of valuation. Statutory Liquidity Reserve (SLR), Cash Reserve Requirement (CRR) and Loan Deposit Ratio compliance. Bank’s liquidity ratio is satisfactory. Core asset funded by core liabilities. Impact on interest rate volatility on deposit and its trend. Ability to raise fund through stable sources in cost effective manner. Credibility of funding sources in distress situation. Number of branch network and employees. Products and services offered are regularly reviewed. Each of the key parameters mentioned below shall be evaluated, analyzed and reviewed in order to conclude on the credit risk grading of a banking company and which are as follows. Policy on loan classification and provisioning. Loan against Shares, Debentures etc. Delegation of power at operating level. Instructions for compliance of provisions of Money Laundering Prevention Act, 2002. Company has been operating satisfactorily in complying to the regulations of SEC and related bodies. Internal Control and Compliance mechanism. Status on Basel II compliance. Degree to which changes in interest rates can adversely affect company’s earnings. Degree to which changes in foreign exchange rates can adversely affect company’s earnings. Degree to which changes in commodity prices can adversely affect company’s business. Joint venture partner or Strategic Alliance. Management contract or Technical collaboration. Alliance/arrangement with World Bank/ADB/IFC/SEDF or awards/certification/recognition. Before evaluation of the risk element of key parameters it is required to obtain Audited Financial Statement of a bank for at least 3 years period and should be spread in the Financial Spread Sheet which will help to properly analyze the financial trend of a particular bank on whom exposures are being taken. A Financial Spread Sheet (FSS) has been developed which may be used for analyzing the credit risk elements of a banking company from financial point of view. The FSS is well designed and programmed software having two parts. Input and Output Sheets. The financial numbers of banks need to be inputted in the Input Sheets, which will then automatically generate the Output Sheets. 3.6.3.4 Step IV: Assign weightages to each of the key parameters. Once the above mentioned key risk parameters are evaluated, analyzed and reviewed properly the next step will be to further assign weightage against each key parameter depending on its strength and merits. The weightage assigned to the Principal Risk Components and its corresponding key parameters . Once the above mentioned key risk parameters are identified the next step will be to assign points to each key parameter depending on their importance and standing. 3.6.3.5 Step V: Input data to arrive at the score on the key parameters. After the risk identification & weightage assignment process (as mentioned above), the next steps will be to input actual score obtained by the Bank (under review process) against the key parameters in the score sheet to arrive at the total scores obtained. The following steps are to be followed while using the MS Excel program. The entire XL sheet named, CRG is protected except the particular cells to input data. Input data accurately in the cells which are colored LIGHT BLUE. 3.6.3.6 Step VI: Arrive at the Credit Risk Grading based on total score obtained. The following is the proposed Credit Risk Grade matrix based on the total score obtained by an obligor (i.e. a Bank).  Credit Risk Grading should be completed by a Bank for its counterparty bank for facilities extended to them.  If any credit facilities are extended to a Bank against 100% cash covered or near cash covered securities or covered by Government Guarantee or Guarantee by a top tier International Bank then the Credit Risk Grading should be Superior – 1(SUP-1) and in that case the CRG score sheet is not required.  Credit risk grading matrix would be useful in analyzing credit proposal, new or renewal for regular limits or specific transactions, if basic information on a borrowing client to determine the degree of each factor is a) readily available, b) current, c) dependable, and d) parameters/risk factors are assessed judiciously and objectively. The Relationship Manager as per data collection checklist should collect required information.  Relationship manager should ensure to correctly fill up the Limit Utilization Form in order to arrive at a realistic earning status for the borrower.  Key Risk Parameters are to be evaluated and weighted very carefully, on the basis of most up-to-date and reliable data and complete objectivity must be ensured to assign the correct grading.  Credit risk grading exercise should be originated by Relationship Manager and should be an on-going and continuous process. Relationship Manager shall complete the Credit Risk Grading Score Sheet and shall arrive at a risk grading and document it which shall then be concurred by a Credit Officer.  The credit officers then would pass the approved Credit Risk Grading Form to Credit Administration Department and Corporate Banking/Line of Business/Recovery Unit for updating their MIS/record.  The appropriate approving authority through the same Credit Risk Grading Form shall approve any subsequent change/revision i.e. upgrade or downgrade in credit risk grade. Early Warning Signals (EWS) indicate risks or potential weaknesses of an exposure requiring monitoring, supervision, or close attention by management. If these weaknesses are left uncorrected, they may result in deterioration of the repayment prospects in the Bank’s assets at some future date with a likely prospect of being downgraded to classified assets. Early identification, prompt reporting and proactive management of Early Warning Accounts are prime credit responsibilities of all Relationship Managers and must be undertaken on a continuous basis. Despite a prudent credit approval process, loans may still become troubled. Therefore, it is essential that early identification and prompt reporting of deteriorating credit signs be done to ensure swift action to protect the Bank’s interest. The symptoms of early warning signals as mentioned below are by no means exhaustive and hence, if there are other concerns, like breach of loan covenants or adverse market rumors that warrant additional caution. Irrespective of credit score obtained by any obligor (i.e. a Bank) as per the proposed risk grade score sheet, the grading of the account highlighted as Early Warning Signals (EWS) accounts shall have the following risk symptoms. Head of Credit Risk Management may also downgrade credit risk grading of a Bank in the normal course of inspection or during the periodic portfolio review. In such event, the Credit Risk Grading Form will then be filled up by Credit Risk Management Department and will be referred to Corporate Banking/Line of Business/Credit Administration Department/Recovery Unit for updating their MIS/records. Recommendation for upgrading of an account has to be well justified by the recommending officers. Essentially complete removal of the reasons for downgrade should be the basis of any upgrading. In case an account is rated Marginal / Watchlist, Special Mention or unacceptable credit risk as per the risk grading score sheet, this may be substantiated and credit risk may be accepted if the exposure is additionally collateralized through cash collateral, good tangible collaterals or strong guarantees. These are exceptions and should be exceptionally approved by the appropriate approving authority. Whenever required an independent assessment of the credit risk grading of an individual account may be conducted by the Head of Credit Risk Management or by the Internal Auditor documenting as to why the credit deteriorated and also pointing out the lapses. If a Bank has its own well established risk grading system to risk rate a Banking Company equivalent to the proposed credit risk grading or stricter, then they will have the option to continue with their own credit risk grading system. The Credit Administration function is critical in ensuring that proper documentation and approvals are in place prior to the disbursement of loan facilities. For this reason, it is essential that the functions of Credit Administration be strictly segregated from Relationship Management/Marketing in order to avoid the possibility of controls being compromised or issues not being highlighted at the appropriate level. Credit Administration procedures should be in place to ensure the following.  Security documents are prepared in accordance with approval terms and are legally enforceable. Standard loan facility documentation that has been reviewed by legal counsel should be used in all cases. Exceptions should be referred to legal counsel for advice based on authorisation from an appropriate executive in CRM.  Disbursements under loan facilities are only be made when all security documentation is in place. CIB report should reflect/include the name of all the lenders with facility, limit & outstanding. All formalities regarding large loans & loans to Directors should be guided by Bangladesh Bank circulars & related section of Banking Companies Act. All Credit Approval terms have been met.  Loan disbursements and the preparation and storage of security documents should be centralized in the regional credit centres.  Appropriate insurance coverage is maintained (and renewed on a timely basis) on assets pledged as collateral.  Security documentation is held under strict control, preferably in locked fireproof storage.  All required Bangladesh Bank returns are submitted in the correct format in a timely manner.  Bangladesh Bank circulars/regulations are maintained centrally, and advised to all relevant departments to ensure compliance.  All third party service providers (valuers, lawyers, insurers, CPAs etc.) are approved and performance reviewed on an annual basis. Banks are referred to Bangladesh Bank circular outlining approved external audit firms that are acceptable.  Loan terms and conditions are monitored, financial statements are received on a regular basis, and any covenant breaches or exceptions are referred to CRM and the RM team for timely follow-up.  Timely corrective action is taken to address findings of any internal, external or regulator inspection/audit.  All borrower relationships/loan facilities are reviewed and approved through the submission of a Credit Application at least annually. Computer systems must be able to produce the above information for central/head office as well as local review. Where automated systems are not available, a manual process should have the capability to produce accurate exception reports. Exceptions should be followed up on and corrective action taken in a timely manner before the account deteriorates further. Refer to the Early Alert Process. If these weaknesses are left uncorrected, they may result in deterioration of the repayment prospects for the asset or in the Bank’s credit position at some future date with a likely prospect of being downgraded to CG 5 or worse (Impaired status), within the next twelve months. Early identification, prompt reporting and proactive management of Early Alert Accounts are prime credit responsibilities of all Relationship Managers and must be undertaken on a continuous basis. An Early Alert report should be completed by the RM and sent to the approving authority in CRM for any account that is showing signs of deterioration within seven days from the identification of weaknesses. The Risk Grade should be updated as soon as possible and no delay should be taken in referring problem accounts to the CRM department for assistance in recovery. Despite a prudent credit approval process, loans may still become troubled. Therefore, it is essential that early identification and prompt reporting of deteriorating credit signs be done to ensure swift action to protect the Bank’s interest. Moreover, regular contact with customers will enhance the likelihood of developing strategies mutually acceptable to both the customer and the Bank. Representation from the Bank in such discussions should include the local legal adviser when appropriate. An account may be reclassified as a Regular Account from Early Alert Account status when the symptom, or symptoms, causing the Early Alert classification have been regularized or no longer exist. The concurrence of the CRM approval authority is required for conversion from Early Alert Account status to Regular Account status. The Recovery Unit (RU) of CRM should directly manage accounts with sustained deterioration (a Risk Rating of Sub Standard (6) or worse). Banks may wish to transfer EXIT accounts graded 4-5 to the RU for efficient exit based on recommendation of CRM and Corporate Banking. Whenever an account is handed over from Relationship Management to RU, a Handover/Downgrade Checklist should be completed.  Pursue all options to maximize recovery, including placing customers into receivership or liquidation as appropriate.  Ensure adequate and timely loan loss provisions are made based on actual and expected losses.  Regular review of grade 6 or worse accounts. The management of problem loans (NPLs) must be a dynamic process, and the associated strategy together with the adequacy of provisions must be regularly reviewed. A process should be established to share the lessons learned from the experience of credit losses in order to update the lending guidelines. All NPLs should be assigned to an Account Manager within the RU, who is responsible for coordinating and administering the action plan/recovery of the account, and should serve as the primary customer contact after the account is downgraded to substandard. Whilst some assistance from Corporate Banking/Relationship Management may be sought, it is essential that the autonomy of the RU be maintained to ensure appropriate recovery strategies are implemented.  Facilities are withdrawn or repayment is demanded as appropriate. Any drawings or advances should be restricted, and only approved after careful scrutiny and approval from appropriate executives within CRM.  CIB reporting is updated according to Bangladesh Bank guidelines and the borrower’s Risk Grade is changed as appropriate.  Loan loss provisions are taken based on Force Sale Value (FSV).  Loans are only rescheduled in conjunction with the Large Loan Rescheduling guidelines of Bangladesh Bank. Any rescheduling should be based on projected future cash flows, and should be strictly monitored.  Prompt legal action is taken if the borrower is uncooperative. On a quarterly basis, a Classified Loan Review (CLR) (Appendix 3.4.2B) should be prepared by the RU Account Manager to update the status of the action/recovery plan, review and assess the adequacy of provisions, and modify the bank’s strategy as appropriate. The Head of Credit should approve the CLR for NPLs up to 15% of the banks capital, with MD/CEO approval needed for NPLs in excess of 15%. The CLR’s for NPLs above 25% of capital should be approved by the MD/CEO, with a copy received by the Board. The guidelines established by Bangladesh Bank for CIB reporting, provisioning and write off of bad and doubtful debts, and suspension of interest should be followed in all cases. These requirements are the minimum, and Banks are encouraged to adopt more stringent provisioning/write off policies. Regardless of the length of time a loan is past due, provisions should be raised against the actual and expected losses at the time they are estimated. The approval to take provisions, write offs, or release of provisions/upgrade of an account should be restricted to the Head of Credit or MD/CEO based on recommendation from the Recovery Unit. The Request for Action (RFA) or CLR reporting format should be used to recommend provisions, write-offs or release/upgrades. The RU Account Manager should determine the Force Sale Value (FSV) for accounts grade 6 or worse. Force Sale Value is generally the amount that is expected to be realized through the liquidation of collateral held as security or through the available operating cash flows of the business, net of any realization costs. Any shortfall of the Force Sale Value compared to total loan outstanding should be fully provided for once an account is downgraded to grade 7. Where the customer in not cooperative, no value should be assigned to the operating cash flow in determining Force Sale Value. Force Sale Value and provisioning levels should be updated as and when new information is obtained, but as a minimum, on a quarterly basis in the CLR. This part is Limits for Money Market, Foreign Exchange and other transactions with different counter party Banks and (ii) setting limits for Fixed Deposits and Overnight Investments with different Non Bank Financial Institutions (NBFIs). a) To maintain liquidity i.e. to meet up the obligations of the bank as and when they fall due. b) To use excess fund to ensure highest possible return. c) To borrow necessary funds at the lowest possible cost. e) To maintain the regulatory requirement for liquidity (CRR & SLR). b) Exposure against other bank’s FDR etc. In the market one borrows and another lends or places funds. There is no credit risk when we borrow. However, on the lending side, there is always a risk that the borrower may be unable to repay the funds or unable to repay on due date. The risk arises when the maturities of the placement and the borrowings are not matched. For example, when we lend funds for 3 months by borrowing at call, we are taking an interest rate risk as the call rates are uncertain and may rise thereby affecting the profitability of the said transaction. The liquidity risk appears when funds are placed for the period longer than the source of funds. (i) The Credit Risk is controlled primarily by establishing lines for placements with each counter party. It will limit the amount for each counter party. Thereby, the counter party limit ensures control of an unduly high percentage of the total money market portfolio. (ii) Liquidity and interest rate risks can be controlled by imposing limits on the net position and periodical MIS such as daily, weekly, monthly, and quarterly and so forth will contribute in these areas. Bangladesh Bank’s regulatory requirement of CRR & SLR also covers part of the liquidity risk. EBL is following Counter Party Bank Limit approved by the Board in its 374 Meeting dated July 10, 2007 (Board Memo No. 256/07 Dated July 9, 2007). Counter-party limit is generally set after deriving its credit rating taking into account the quantitative and qualitative aspects of Bank and NBFIs. We have reviewed both quantitative and qualitative aspects taking the Credit Risk Grading Manual of Bangladesh Bank into consideration. EBL’s review methodology provided a score and rating for the counter party Banks and NBFIs. Bank wise exposure/ limits have been reviewed on the basis of assessment of financial performance, operating efficiency, management quality, past experience etc. Banks and NBFIs are rated and placed in range of 1-8 ratings, on the basis of their credit quality. These ratings are: (1) Superior; (2) Good; (3) Acceptable; (4) Marginal / Watch list (5) Special Mention (6) Sub standard (7) Doubtful and (8) Bad & Loss. Financial data has been analyzed with Microsoft Excel Based spread sheet, in order to find out and evaluate financial performance. The spread sheet also incorporated Income Statement, Balance Sheet and Key Financial Ratios e.g. Growth Ratio, Liquidity Ratio, Asset Quality, Leverage, Profitability, Efficiency and information on Market Share, Balance Sheet Highlights etc. Based on these, scoring has been done as follows. Detailed of the spread sheet and score sheet is enclosed with the Memo in Appendix C (for Banks) & D (for NBFIs). We have analyzed spreadsheet of 44 Banks (out of total 48 Banks) and rated them accordingly. We could not rate 4 banks [BSRS, RAKUB, BSB and ICB Islamic Bank (Oriental)] as their financials are not available. Counter party limits have been proposed for total 51banks, special judgments have been given for BSRS, Amex, Mashreq, Wachovia, Commerzbank, National Commercial Bank (NCB, KSA) and Dresdner Bank. Rating of all the Banks with major ratios and corresponding proposed Limit are presented in Appendix-A based on the following matrix. We have analyzed spreadsheet of 16 NBFIs to set limit for them (where there are existing and potential business opportunities). Rating of the NBFIs with major ratios and corresponding proposed Limit are presented in Appendix-B based on the following matrix. Limit for NBFIs has been proposed on above percentage on Paid Up-Capital (not on total capital) as per conservative approach. Any exception to NBFIs limits to be pre-approved by Head of Credit Risk Management and Managing Director or his delegated personnel. Foreign Exchange risk is not as high as Money Market risk. On an average, as per international standard, Loan Equivalent Risk (LER) is 100% for Money Market transaction and for Foreign Exchange Transactions the LER is 10.00% (approx.). For the purpose of simplicity we have assumed a flat LER of 10% for Foreign Exchange Transaction and 100% for Money Market and others. We are proposing Total counter party bank limit for Tk 5360 Crore into 03 categories; Money Market limit 45%, Foreign Exchange Limit 30% and other business line (LDBP & Loan against FDR) 25% taking into account both quantitative and qualitative aspects (detailed in Appendix-A & A1). Total Loan Equivalent Limit is Tk.3589 Crore. We are proposing Total counter party limit for NBFIs as Tk 229 Crore into 02 categories; Fixed Deposit limit 60%, Overnight Placement Limit 40% of total Limit (detailed in Appendix-B & B1). No EOL approval will be required for Bank as long as total Loan Equivalent Outstanding (10% for FX and 100% for MM & Others) on any specific bank is within its total Loan Equivalent Limit. No EOL approval will be required for NBFI as long as total outstanding of Fixed Deposit and Overnight is within the total limit for any single NBFI. The following aspects of Modus Operandi of Bank Limit approved by the Board, in its 374 Meeting dated July 10, 2007 (Board Memo No. 256/2007 Dated July 9, 2007) shall remain unchanged. The approved Limits for Banks and NBFIs shall be forwarded to Treasury Support Unit (TSU), Service Delivery. TSU will advice the Limits to Treasury Front Office by incorporating the Limits availed by Treasury Front Office. TSU will prepare MIS and report to Senior Management and ALCO members on a monthly basis/ as and when required the limits and corresponding outstanding. Any exceptions or waiver on the Limit to be approved by Managing Director. Any changes in Modus Operandi to be approved by Managing Director. Bangladesh Bank guidelines through Focus Group report- Managing Core Risk in Banking on Asset Liability Management and Foreign Exchange Risk Management to be adhered to. EBL’s Treasury Manual approved by the Board in its 320 Meeting dated 5th July 2005 to be strictly adhered to. 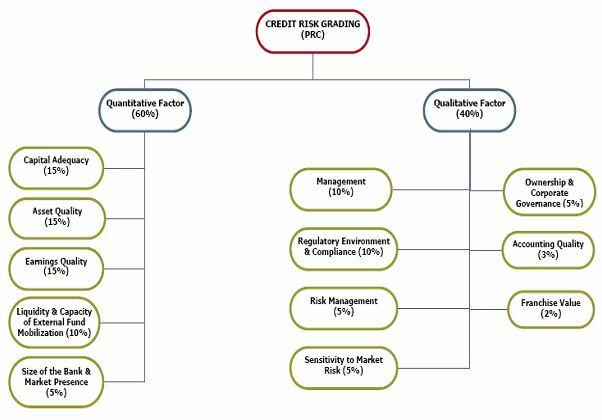 Credit Risk Grading is an important tool for credit risk management as it helps a Bank to understand various dimensions of risk involved in different credit transactions. The credit risk grading system is vital to take decisions both at the pre-sanction stage as well as post sanction stage. At the pre-sanction stage, credit grading helps the sanctioning authority to decide whether to lend or not to lend, what should be the pricing for a particular exposure, what the extent should be of exposure, what should be the appropriate credit facility and the various risk mitigation tools. At the post-sanction stage, the bank can decide about the depth of the review or renewal, frequency of review, periodicity of the grading, and other precautions to be taken. Having considered the significance and necessity of credit risk grading for a Bank, it becomes imperative to develop a credit risk grading model which meets the objective outlined above.